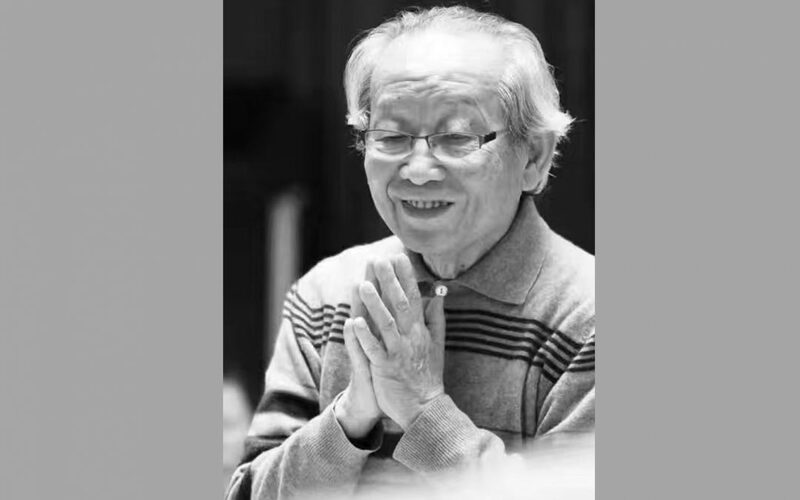 Mr. Yan Liangkun, famous conductor of the China National Symphony Orchestra, one of the founders of chorus art enterprise in China, passed away at 7:12 in the morning, June 18, 2017 in Beijing after a serious illness, at the age of 94. The President of INTERKULTUR, the founder of the World Choir Games, the President of the World Choir Council, Günter Titsch, was deeply grieved hearing the sad news. Günter Titsch wrote a letter to Li Peizhi, Chairman of China Chorus Association, and on behalf of INTERKULTUR, World Choir Council, the organizing committee of the World Choir Games, he expressed profound condolences to Yan’s death, and feels deeply sorry about the loss of the great master who deserves utmost respect of the Chinese choral community. At the same time, he asked Chairman Li Peizhi to convey his condolences to all family members of Mr. Yan. In the letter, Günter Titsch mentioned that, as a perpetual member of the Honorary Committee of the World Choir Games, Mr. Yan always supported the improvement and development of the event. He made a speech and spoke up for holding the 6th World Choir Games in Shaoxing, China in 2010. Hereafter, Günter Titsch went to Beijing to visit Mr. Yan. Yan put forward many constructive advices and wishes on the connection between Chinese choral music and the world, and how to popularize choral music with Chinese national features on the world stage. During the last years, the Chinese choral movement developed considerably, because due of the indefatigable efforts of constant and powerful advocates like Mr. Yan. They all promoted the choral movement not only in China, but also worldwide. Thus, we are filled with deep respect and gratitude to Mr. Yan. The famous conductor Yan Liangkun was born in Wuchang, Hubei Province of China in 1923. He was one of the founders of the China National Symphony Orchestra Choir (the former Central Philharmonic Chorus) and conductor of the Central Philharmonic Chorus, Vice President of the Chinese Musicians Association, and Chairman of the Choral Society. The most famous work he conducted is the Yellow River Cantata by Xian Xinghai – for the first time when he was 17. Until today he conducted the piece over 1000 times. In 2011 the full edition of the Yellow River Cantata was performed in Shanghai Grand Theater with 88 years old Yan Liangkun acting as the conductor, which attracted great attention at that time.